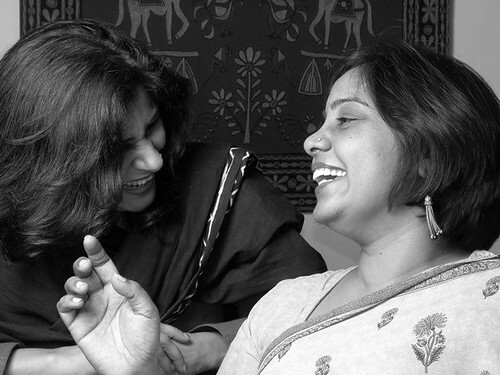 She decided she’d be a Hindi Pandit when she was barely 8. She is one today. She learnt at a very young age to wake up at 4 am and pray. She does it even now. Her curiosity to know, to learn, is as vast as the sky (her name shud’ve been Jigyasa). Her thirst for knowledge still remains unquenched. All she wanted of her fiancé and now her husband of 25 years was to study after their marriage. She went to college with her ghunghat (for that was the rule of her roost), completed her Masters and also did her Ph.D although she was a young mother by then, living in an orthodox joint family! She can take you through a maze of philosophical words and thoughts, and inspire you to give birth to dormant potentials within you. She writes stories and poems that touch your deepest chord , and if you put her on stage she’s at her very best. When she draws a mehandi pattern on your palm, you’d never want it to fade away. Her brain churns out the brightest of ideas for any occasion or event, and her heart is as warm & soft as a freshly baked muffin. If she’s seen your wardrobe once, she will remember the accessories you have which will match a particular dress or sari that you’ve forgotten all about. She sews beautifully, paints on walls and cooks delicious meals. She is a tough task master, a workaholic, a fighter, a survivor. An inspiration to many, an insightful tarot card reader and a bookworm I am proud of (I call her my nutty professor). She is my friend, my partner, my muse……my punching bag. P.S: Well, I’m her punching bag too!…but that’s another story ;). And every coin has two sides, so on another day I’ll write about the other side of this unique and special friend that I am blessed with. 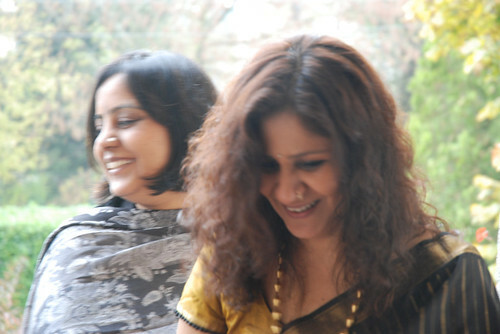 But today is her birthday and this is my ode to My Very Dear Pratibha. Happy birthday PJ. May we write many more good books together, have many more laughs & smiles, and of course many more squabbles and razor sharp fights too…for the best of gold can only be brought forth when the goldsmith puts it through the test of fire. Click to read many more such special tributes. If reading this post reminds you of your best friend, share your special feelings with us via the comment form below. We would love to hear from you.